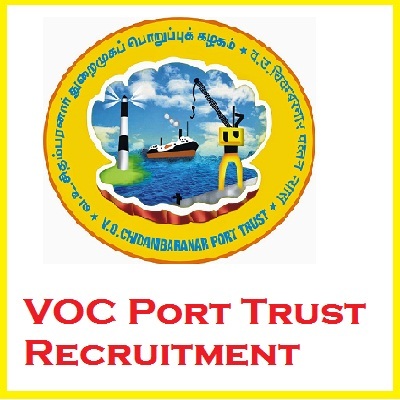 V.O Chidambaranar Port Trust Jobs opening 2018-2019 for Lower Division Clerk download application At.V.O Chidambaranar Port Trust walk-in for Lower Division Clerk has invited applications from interested, eligible candidates to fill in the vacancies Interested candidates can apply on through official website Website www.vocport.gov.in. who have not applied until now can follow the instructions below and apply online.V.O Chidambaranar Port Trust walk-in for Lower Division Clerk* Freshers*@ Tuticorin (T.N. )- Apply Now. V.O.Chidambaranar Port is located strategically close to the East-West International sea routes on the South Eastern coast of India at latitude 8o 45'N and longitude 78o 13'E. Located in the Gulf of Mannar, with Sri Lanka on the South East and the large land mass of India on the West, V.O.Chidambaranar Port is well sheltered from the fury of storms and cyclonic winds. The port is operational round the clock all through the year. Essential: Pass in regular Plus Two or its equivalent from recognised Board of Studies: and A degree of a recognised university on regular pattern (OR) through correspondence. Minimum speed of 30 words per minute in English Typewriting; and basic Computer knowledge with MS Office course completion Certificate. Age as on 01.04.2018: 25 years. The filled in application along with copies of certificates to prove the age and educational qualifications duly attested should reach the Secretary , V.O.Chidambaranar Post Trust, Tuticorn-628 004 on or before 31.05.2018.